Ugly Bustards Footy Tipping: R9: 1st Spot Prize & "A Fighting Fury" returns! R9: 1st Spot Prize & "A Fighting Fury" returns! We'll kick 'em in the shin. We'll never weaken 'til the final siren's gone. and a memo to Saints fans - arent you glad Rossy Lyon's at Freo. That sums up Round 9. 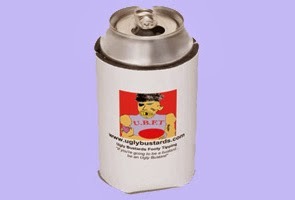 Let's roll the tape, get into the tipping results and give away the first Uglybustards Spot Prize* for 2012. I said it was hotting up last week but this week the Tipping Ladder has turned on the back burners and we have furnace-like conditions here at the MCG. For the 4th week in a row, courtesy of his margin, Longee leads, but this week its a 3 way tie on points, nudging out comeback kid Craig Nettlebeck and Griggsy. Elmo continues to heap presha on the leaders, sitting 4th just a point behind, and level with him is the very consistent Ace74 whose miserable margin may just come back to haunt him later in the year. Not much in the Margin Comp this week with everyone getting near the 20 point margin of the Cats over the 'Dogs. David Feck'Em moved into outright leadership, ahead of Longee by 4 pts. Rod Carter remained 3rd, 16 pts off the lead, and the big mover was Rotten Ronnie Andrews from 7th to 4th, 22 pts behind David Feck'Em. The Trivia comp has developed into a neck-and-neck battle-royale more-cliches-please between Uglybustard and Rotten Ronnie Andrews. Again, there remained just 4 points between them after a further 20 trivia questions on which both scored 16. However, I feel I've left the door somewhat ajar yet again after a mediocre 7/10 in the latest round. For the 2nd week running, all Rotten Ronnie needs is 11/10 to draw level. There was no jackpot this week. $25 is up for grabs in round 10. The moment you've all been waiting for, the first spot prize* giveaway for 2012. The prize is a $50 double pass to The Laugh Garage in Sydney's CBD, corner of Park and Elizabeth Streets. Which 1990s North Melbourne player was nicknamed the "Fridge". The first correct email received in the official Uglybustards inbox will be the winner. Uglybustard's decision is final. No correspondence will be entered into. The Winner will be published in next week's Uglybustards Update. We may need an easier question judging by the calibre of contestants this year. * Only those who are paid up members of the prize pool are eligible for spot prizes. Noone knows how to get on a bandwagon like Tigers supporters. WE're probably all lucky that it doesn't creak into action all that often. btw, the winner of the first Uglybustards Spot Prize was Griggsy, who knew that the Fridge was Mark Roberts, who also happened to play for the Swans and the Brissie Bears.